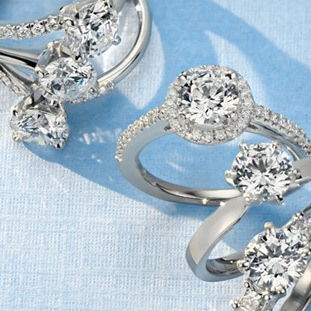 What's more romantic than giving her a ring from the Romance collection? 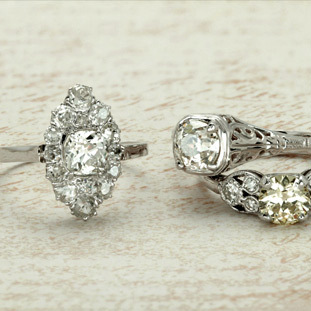 This ring is for your vintage-loving lady who doesn't mind a little color. This ring is made from 18k white gold and .25ctw of diamond and .09ctw of blue sapphires. The band has engraving and milgrain detail making this ring a visual beauty.